Spring has arrived and the golf season is finally upon us. And with that, it’s time to start dusting off those clubs. When was the last time you got new gear? 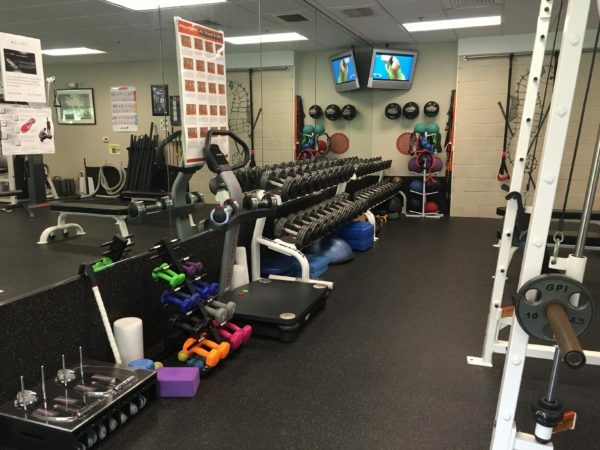 Having the proper equipment will help your performance and enjoyment of the game. The Bay Club’s Golf Professional team is always ready to help members make good equipment decisions. This season, the addition of Assistant Professional, Mike Chase, an expert club fitter having previously worked for Callaway Golf, will help enhance the fitting programs the club currently offers. Should I get fit for new clubs? Clubs are fit for an individual’s swing, so club fitting is important for all players, whatever their skill level. What clubs need to be fit? Long Game (Driver, Fairways and Hybrids): This fitting covers the long part of the bag. It’s important to have proper gapping between your driver, fairway woods and hybrids. Being able to hit more fairways will lead to lower scores and more consistent drives. Irons: This dials in what head and shaft combination will work best for your game. It is important to zero in on the correct launch and spin to hit consistent iron shots and help find more greens in regulation and shorter putts. Short Game: These fittings combine a few different factors. With wedges, it is crucial to find the correct bounce that fits your swing. This leads to more consistent chipping and pitching. We also focus on finding proper gapping between wedges. This fitting will mostly focus on working around the short game area, hitting a variety of shots to find the most consistent grind and loft. Putter: The putter is the single club that amounts the most shots per round. Some players prefer a blade style while others prefer a mallet. There are also many different options for what kind of putting stroke you make. Dialing in the right putter for your stroke is the quickest way to lower your scores. What is the process for fitting clubs? The first step is to decide what manufacturer has clubs that best fit your preferences. 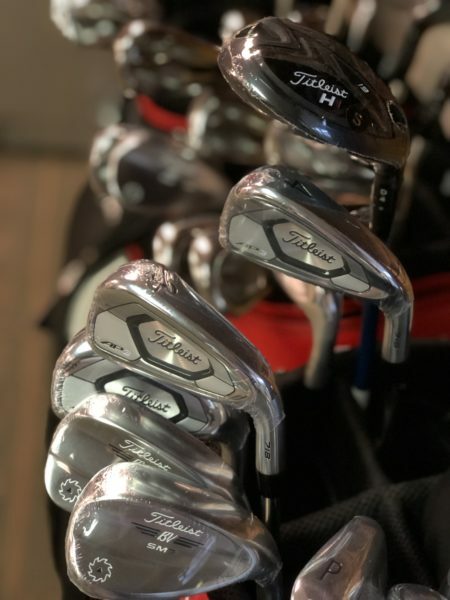 Our Golf Pro Shop carries demo clubs from Titleist, Callaway and TaylorMade. Once members narrow down the decision, it is time to schedule a fitting. During the fitting, our professionals will provide the variety of options and manufacturers to help determine what will work best for the player. Using our GCQuad, they can fine-tune the numbers to get an exact and perfect fit. Ultimately, the fitting ties together length, loft, lie angle, shaft selection and grip choice with the best quantified data for performance and feel. 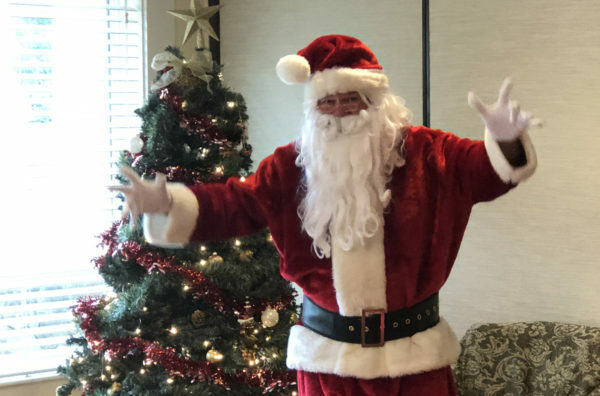 The Golf Professionals at the Bay Club are highly trained for club fitting and are happy to help each member be their best – whether it be for a single club or a full set. 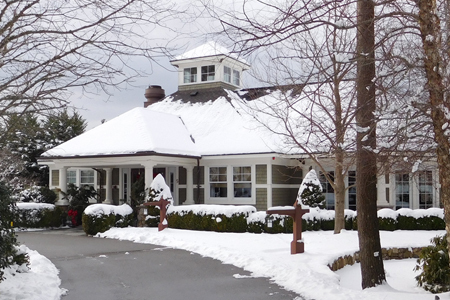 Each year, Bay Club members are treated to a special Valentine’s Day dinner at the Golf House restaurant, perfect for a romantic date night or a celebration with friends. This year was no different. 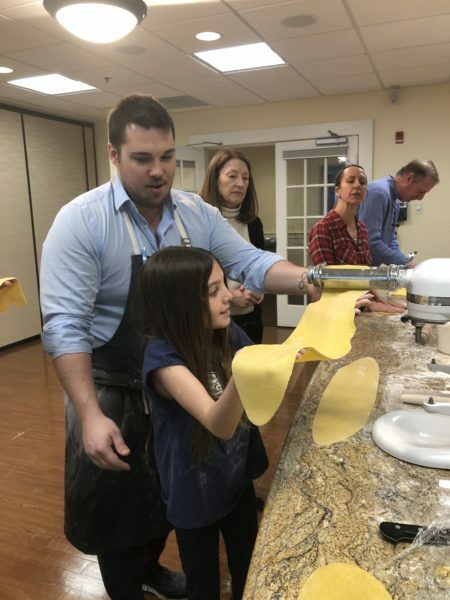 The Food and Beverage team prepared a prix fixe holiday menu which offered selections such as Spinach Gnudi, Duck Confit, Seared Sea Scallops, Grilled New York Strip Steak and Lobster Ravioli to name a few. Decadent dessert choices included Chocolate Souffle, Crème Brulee or Strawberry Crepe. 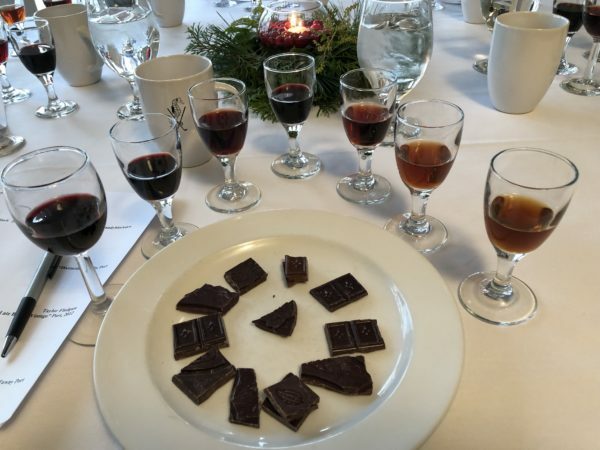 In addition, there were a few special surprises for each table such as an Amuse-Bouche, Petit Fours and roses. Members thoroughly enjoyed the fabulous dinner and are counting down the days until next Valentine’s Day! 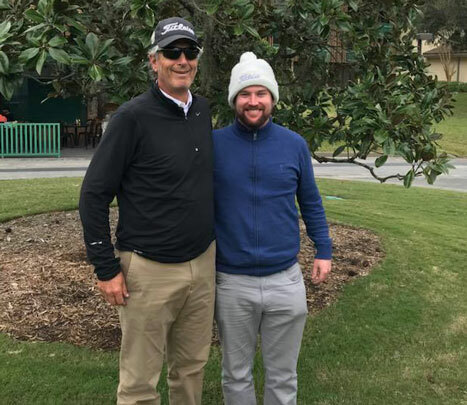 Congratulations to Bay Club Head Golf Professional, Ben Egan and Assistant Professional, John Paesani on their stellar performance at the NEPGA Winter Pro-Pro at Disney’s Magnolia course in Orlando, FL on January 26. They teamed up down south for a score of 7-under par 65 and combined for seven birdies and no bogeys. The weather conditions weren’t ideal, with unseasonable cold temperatures and varying wind speeds; however that didn’t stop them from putting up an impressive score to defeat three teams who shot a 67. For full results, please click here. Great work Ben and Pi! 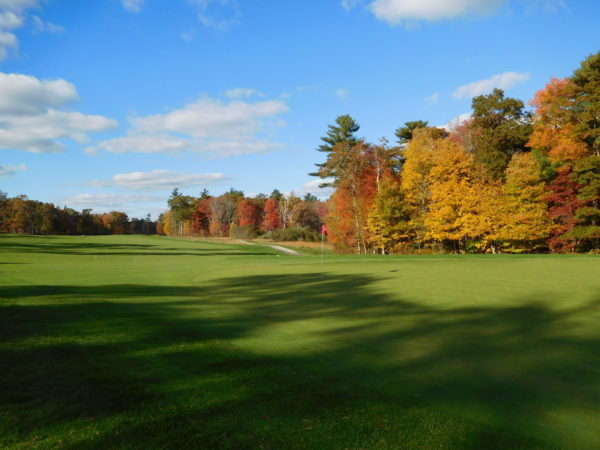 Fall has arrived in New England; Days are getting shorter and sadly, the end of the golfing season is approaching. So…now what? 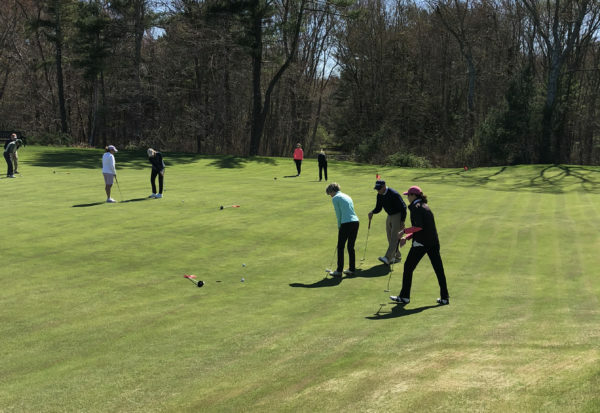 Bay Club Golf Professionals suggest putting together a “golf play plan,” to help golfers stay motivated for whatever is next on their calendar. Depending on what that includes, this plan will differ from person to person. However, this is a useful exercise for all, no matter your skill level. Did your handicap or average scores go down/up? What were your go-to shots this year? What shots could use improvement for next season? Why did you start playing golf and why do you continue? 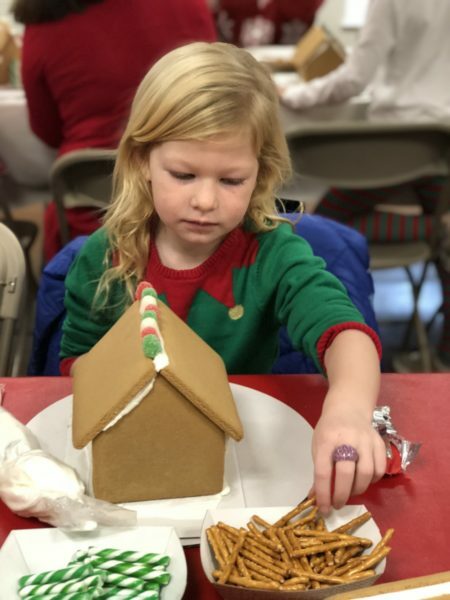 Whether you’re finishing your season here in the cooler temperatures, traveling to play in a warmer climate, or taking time off to rest following a great season, a plan of action will help improve ability as well as enjoyment for the seasons to come. It’s an age-old question: If you were stranded on a deserted island, what wines would you want to have in your possession? 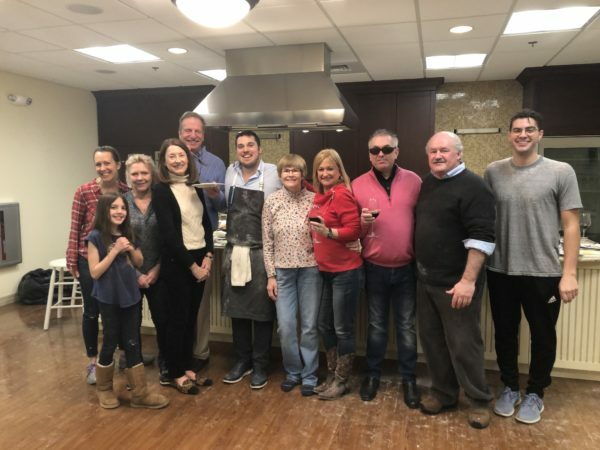 Over the course of the last two seasons, we have been fortunate to build a wine cellar that our membership can be proud to present to guests and family alike. While choosing a favorite wine can be difficult for some, at the end of the day, we all have our preferences. And I am happy to share mine with you. 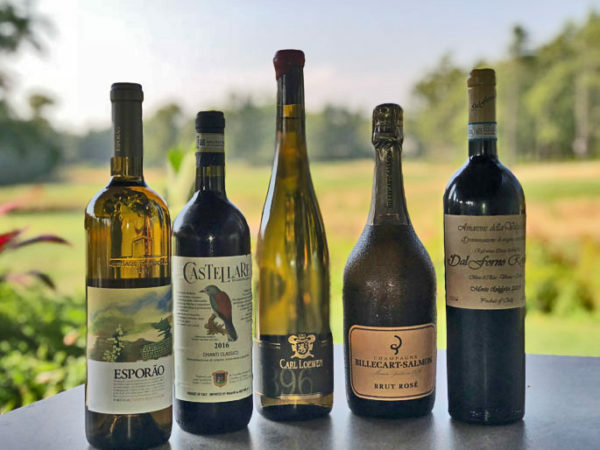 Because of the immense challenge in pairing down a wine list, I hand selected a few wines to break down into the following categories for exploratory purposes: Value White, Value Red, Favorite Sparkling, Favorite White and Favorite Red. Semillon is a white grape originally from France, made popular in Australia and, I believe, done best in Portugal. Esporao showcases bright fruit with the subtlety of oak aging to balance it on the palate, along with a deeper depth of maturity coming from bottle aging. Castellare’s commune in Casetllina crafts arguably the very best Chianti at its price point. By blending 95% local Sangioveto and 5% Canoilio for extra depth, body and intensity, it creates an outstanding wine suitable to drink every day; or every meal for that matter. There is sparkling wine, there is Champagne and then there is Billecart-Salmon Brut Rose. A masterful blend of Chardonnay, Pinot Noir and Pinot Meunier from Grand Cru vineyards, aged on its lees for 3 years before bottling, it’s the essence of romance in the bottle. Its visual appeal of roses and gold is only surpassed by the intoxicating experience on the palate of soft fruit coupled with vivacious bubbles and a lingering essence of brioche. There are not many people who like to age Riesling, though one of the premier importers in America and the expert on Riesling, Terry Thiese happens to share this affinity with me. The 2015 vintage of Riesling was fantastic and this bottling of ungrafted 100+ year old vines was head of the class. For those who like dry white wine, this one is epic; and worthy of a final meal. This is not just a favorite wine that we have, it is my favorite Red Wine – period. It’s huge; but worth the attempt to extract the appreciation for the wines that have spent over 100 years crafting. Native grapes Corvina, Corvinone, Rondinella, Oseleta and Croatina are handpicked and dried for months until the flavors have intensified. The wine then ferments completely dry, ages in oak and then even further in the bottle; until the final product is a wine that far exceeds anything most people have ever tried. And Dal Forno Amarone is an experience you will want to have at least once in your lifetime. From our cellar, these would be my Deserted Island Wines and we are honored to have them for members and their guests to enjoy at the Golf House Restaurant. Bay Club Junior member, Brady Weglowski had the best day of his young life recently, when he spent the day with golf great, Tiger Woods. Tiger was in town for the Dell Technologies Championship Pro-Am at TCP Boston located in Norton, MA. 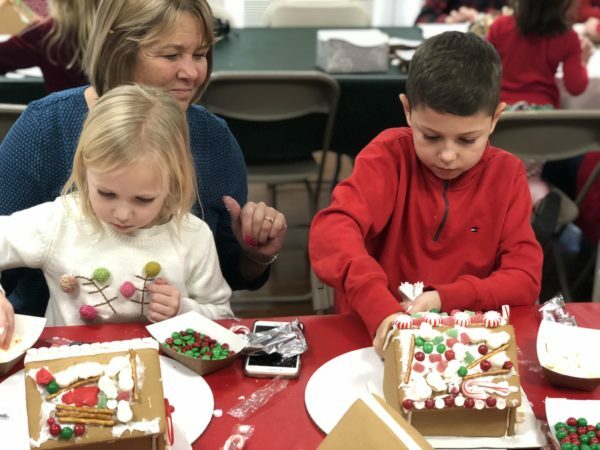 At just 13 years old, Brady has undergone seven open heart surgeries due to a congenital heart defect he’s had since birth. Knowing the battles he has fought and what a big golf fan he is, a friend of his mom, Kelly invited them to walk with him, Tiger and the other golfers in the foursome; inside the ropes for the full 18 holes of the tournament. During this time, Tiger and Brady walked side-by-side, chatting like old friends; the main topic of the day – golf, including putting tips. Tiger also spoke about school, emphasizing the importance of getting good grades. Throughout the day, Brady was given a few chances to take some swings with Tiger’s clubs. Even a driver the size of him didn’t keep him from nailing a drive, earning a high-five from the pro. And some of his newly acquired putting tips were put to good use when Tiger handed him the putter allowing him to putt out on the 17th green. 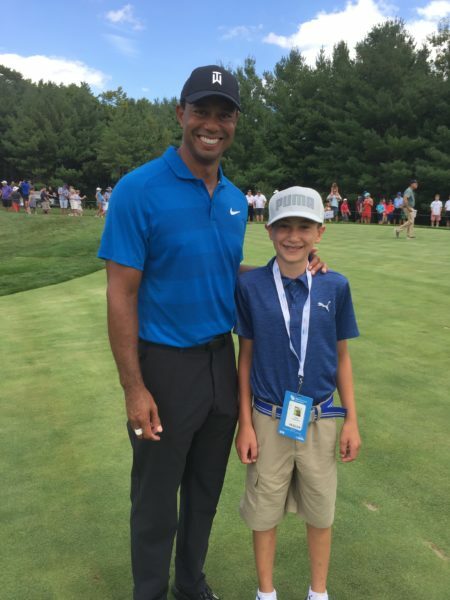 The Weglowski family is thankful for the amazing opportunity they were given, as well as Tiger’s genuine kindness; making the day about Brady, who is still on cloud 9 from the experience. 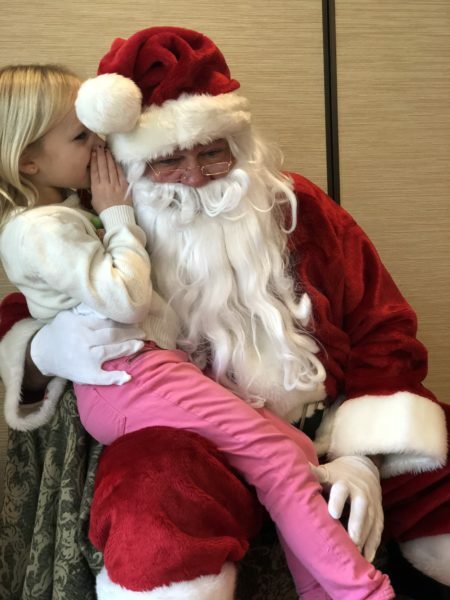 It’s a day they will certainly never forget. 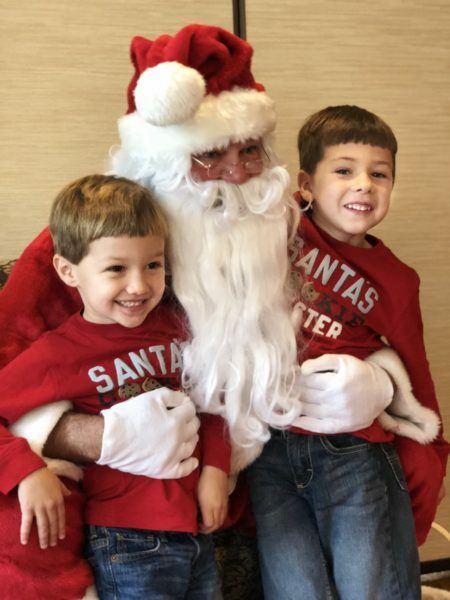 For more on Brady’s story, please click here. 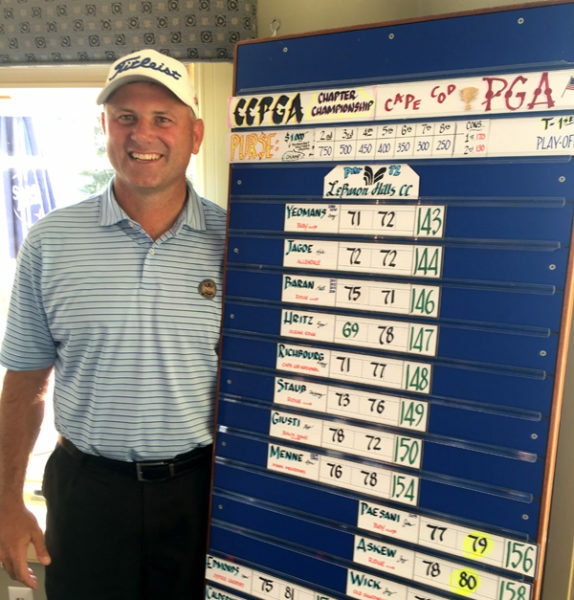 Congratulations to Bay Club General Manager and Director of Golf, Greg Yeomans as he captured his third Cape Cod PGA Championship Wednesday, August 29. 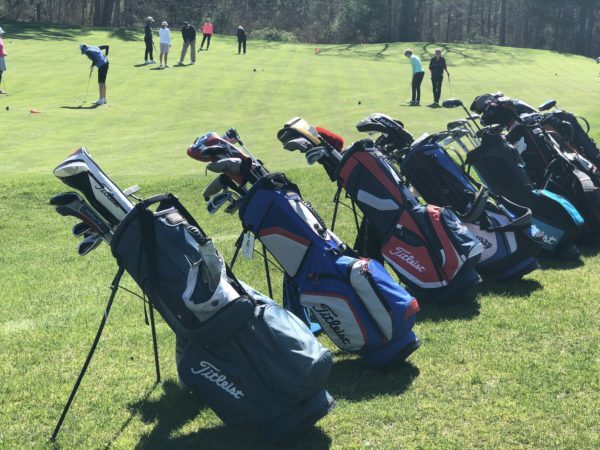 The 36-hole event took place at LeBaron Hills Country Club in Lakeville, MA in extreme conditions, where temperatures climbed to the upper 90s and winds whipped at 20 mph at times. Greg opened with a 1-under par score of 71 and followed up with an afternoon round of even par 72. For more on the tournament, please click here.